Protects horses from flies gnats mosquitoes and ticks. Kills and repels house flies stable flies face flies horn flies eye gnats and ticks on horses. Dogs Cats Small animals Horses Reptiles Fishes Birds. Tekna fetlock boots, black, cob. Injection moulded, neoprene lined, with elastic straps and easy-close fastenings. Excellent condition. 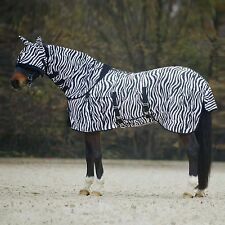 Only used once (tried on for a schooling session). Couple of slight scuff marks, shown in photos. Horse stable blanket in very working condition. This sheet is great for those chilly nights and keeping them warm at shows. Great for the upcoming winter season. 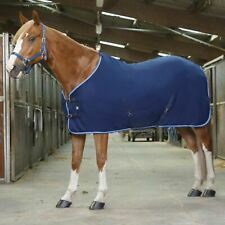 Durable Horse Stable Blanket - 52". 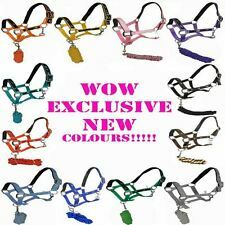 A Mini foal / shetland nylon halter, adjustable in three places, suitable for the smallest of mini foals and small animals. Goats, sheep, calves, alpaca. Blue Adjustable Rope Halter w/ Rawhide Knots! NEW HORSE TACK!